Chris Blackwell, the man who brought reggae to the world via Bob Marley, turned his attention decades ago to developing the Jamaican vacation industry with upscale properties including Strawberry Hill in the Blue Mountains, The Caves on Negril’s cliffs, Jakes at Treasure Beach, and Golden Eye – the former home of James Bond creator Ian Fleming, that he has transformed into a collection of beautifully designed ‘rustic’ dwellings overlooking a spectacular beach on the north coast at Oracbessa. 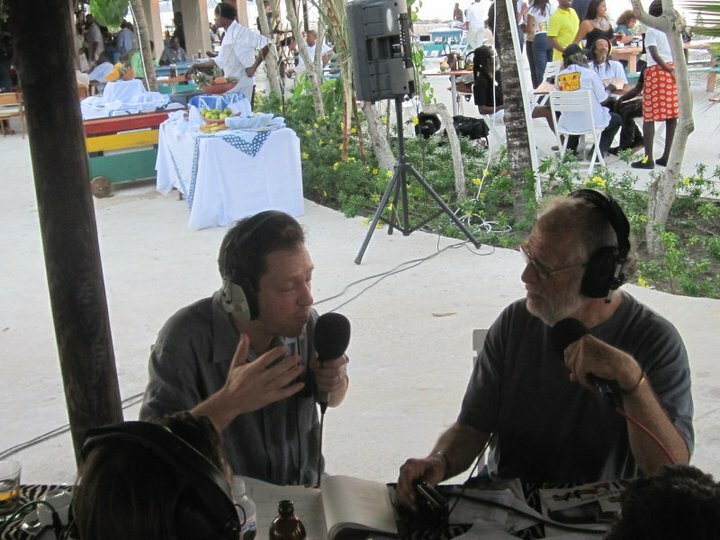 n 1982, France’s president Mitterand changed the country’s media law and Bizot found a new medium from which to rock French culture: Radio Nova, a progressive station that came to Jamaica from Paris to broadcast live at the opening. The live broadcast continued throughout the day, with interviews of such reggae music icons as Toots Hibbert, Stephen ‘Cat’ Coore and Bunny Rugs of Third World, legendary guitarist Earl ‘Chinna’ Smith, Kiddus I, Italian-born reggae star Albarosie and singer Ieye. The beach bar sits directly facing the wide blue sea and beach, with tables laid out on patios and such special features as a beautiful turquoise-and-gold tiled wading pool overlooking the water. Throughout the day buffet stations served a variety of delectable dishes, while the bar offered its signature Golden Eye mixed drink made with Blackwell Rum, as well a wide assortment of top liquors including champagne. Other guests included Minister of Culture Olivia Grange, actor Carl Bradshaw, music power-broker Clifton ‘Specialist’ Dillon, film makers Carlo ‘Amlak’ Less (‘Rise Up‘), Storm Saulter (‘Betta Mus Come’), Jason, Sally and Justine Henzell, Paul Issa, visiting London actress Judith Hepburn, theatre producer Sheila Graham, lawyer Diane Jobson, banker Minna Israel, UWI Professor Carolyn Cooper, artists Judy Ann MacMillan and Neville Garrick, IRIE-FM DJ Ron Muschette, composer/producer Makonnen Hanna and society columnist Chester Francis Jackson. Special guest and Blackwell BF Jimmy Buffet made a most spectacular departure from both the party and Jamaica, zooming in a low sweep over the gathering in his private jet which took off from the nearby Ian Fleming Aerodrome. And a most spectacular late entrance was made by singer/actress/superstar Grace Jones dressed in a flowing hooded caftan and ever-present shades, accompanied by her film maker friend Sophie Fiennes with baby Lucky. The day ended late, with African drumming, music and happy vibes. A very good time was had by all. Ellen Koehlings and Peter Lilly, editors of German reggae magazine RIDDIM, were the featured presenters of the 2nd Annual Reggae International Lecture, hosted by the Global Reggae Studies Center at Studio 38, New Kingston on Febuary 15. 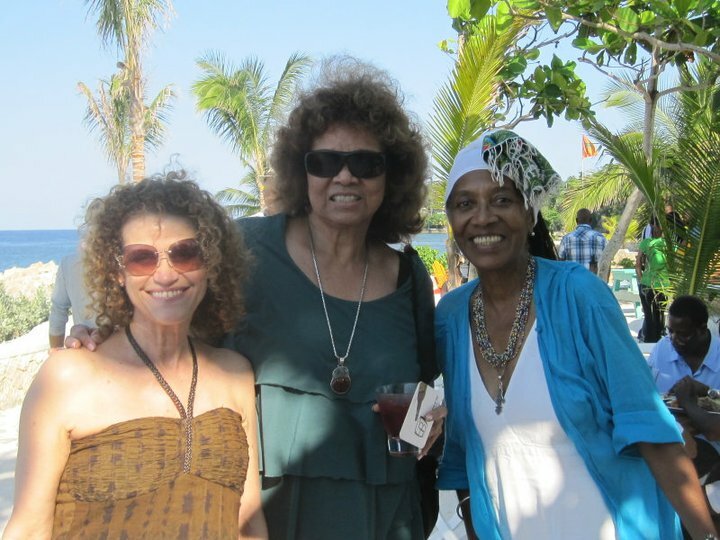 The event was presented by Professor Carolyn Cooper, founder of the Global Reggae Studies Unit, and introduced by E.U. 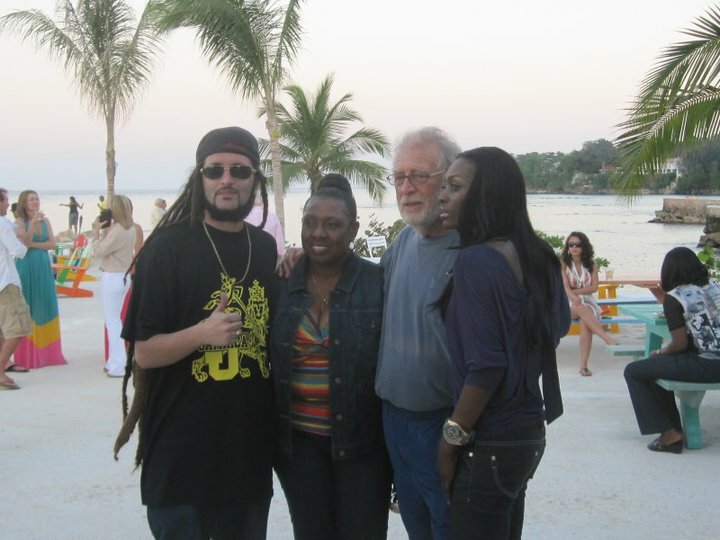 Ambassador Marco Alemani, who said reggae music is about roots and freedom, which was why it appealed to the youth who have taken it around the world. In an hour-long presentation titled “Burning Illusions: Celebrating 10 Years of Reggae Journalism in Europe“, the RIDDIM editors took turns speaking, as they explained how they came to discover reggae and then decided to become its advocates and promoters. Having grown to love the music, they were dismayed by incorrect and sometimes racist articles in German publications about reggae and the culture in which reggae was born, so they started writing articles to change misconceptions of that culture and make its stars known. 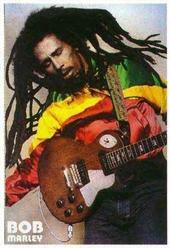 The magazine was first launched in 2001, featuring articles about all the reggae stars and some of the upcoming ones. 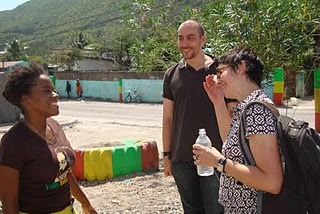 Ellen and Pete started making annual trips to Jamaica in 2007, visiting cultural activities, historical Jamaican places and meeeting people at all levels of Jamaican cultural life. In 2005 Professor Cooper persuaded them to publish an edition in English which unfortunately lasted for only 7 issues, but led to even greater popularity of the magazine, both in Jamaica and Europe. RIDDIM has helped launch the careers of artists countless Jamaican artists, as well as European artists such as Gentleman and Albarosie. The pages have included a Patois dictionary, articles on film, dance, theatre and art, the pages of RIDDIM are a history of Jamaican music seen through the eyes of two of the most fervent lovers of Jamaican culture. At the end of the presentaton, the large audience present showed their appreci-LOVE with generous applause and commendations. Want a cool glass of lemonade? A toasted chicken sandwich? A hearty vegan gungo peas stew? Not only can you enjoy these culinary delights serenaded by the music of Jamaica’s reggae hero, but you may find yourself watching an impromptu football match with players including the Marley sons and their friends in the music industry ! This is the ambience at the Bob Marley Museum Legend Cafe, nestled under a massive mango tree that shades breezy, open verandahs and an enclosed dining room. 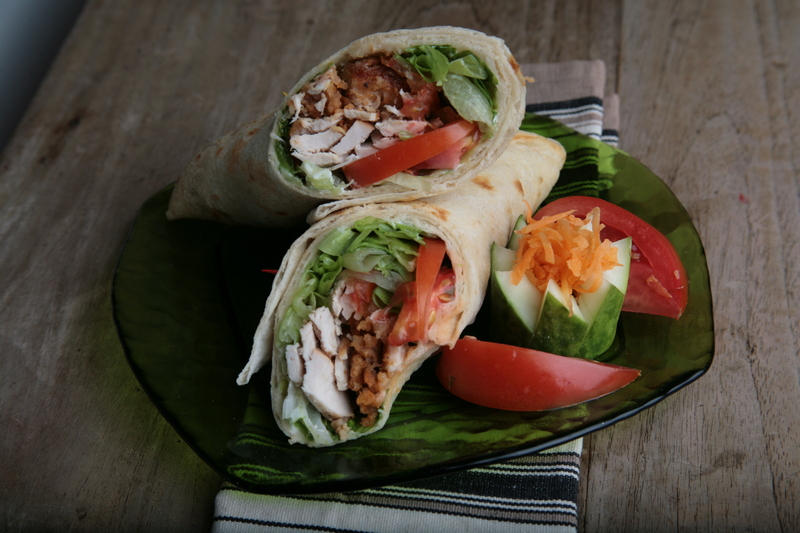 Operated by charming Charmaine Elliott of Kingston Six Catering Co., the Legend Cafe offers tasty Jamaican cuisine that is both traditional and innovative, including Chicken and Fish (but no Pork). 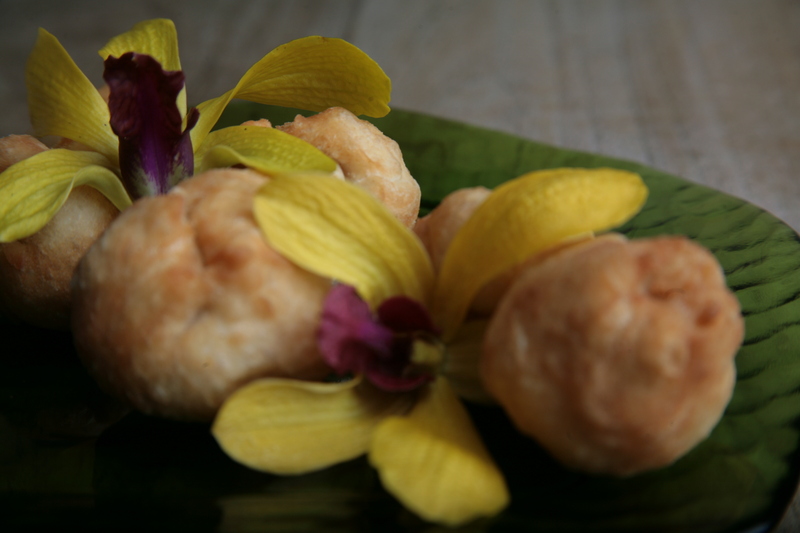 Vegetarians are specially catered to, with Stew Peas, Tofu and Vegetable Stew daily, as well as glorious salads and the legendary Ackee Puffs. The lunchtime rush includes Museum tourists, take-away boxes for workers in nearby offices and special orders for meetings and parties. Legend Cafe hosts several functions each month, from birthdays, book launches and corporate functions, to live entertainment events at night featuring reggae stars, as well as up-coming artists. 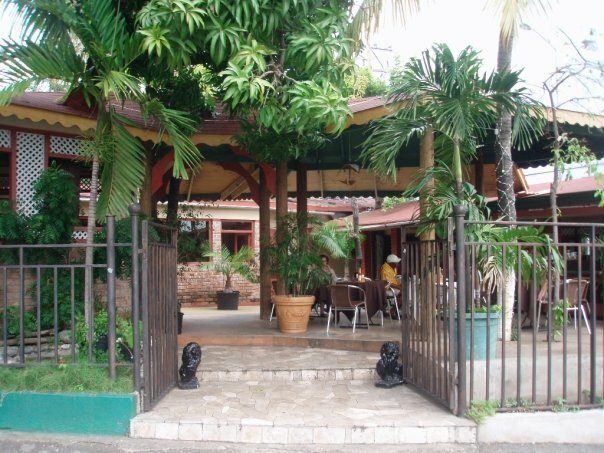 There’s always a Marley son or daughter passing through this famous Kingston address, a documentary being filmed or a famous reggae star dropping by, and the Legend Cafe is an important participant in all the special events celebrating Bob Marley Month. The vibe and the food are always right at the Legend Cafe. IN THE SPOTLIGHT joined the world to celebrate the 66th Earthday of National Hero Ras Robert Nestor Marley, February 6, 2011. 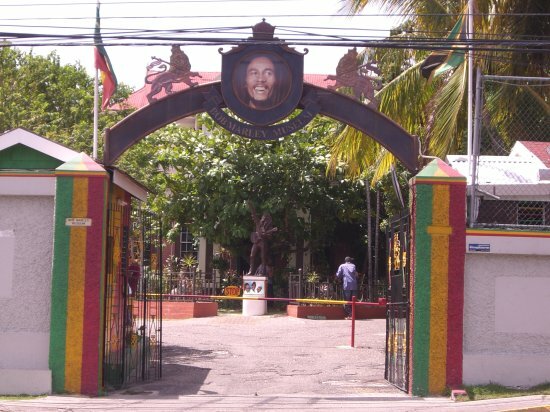 The official celebrations took place on Sunday, February 6 at 56 Hope Road, the home where Bob lived and worked, now become the Bob Marley Museum. The spirit of Bob filled the entire yard, as the Nyabinghi drums and chants began the day’s celebrations of musical praise and tribute to the Most High JAH RASTAFARI. The throng of Rastafari brethren and sisters in colourful traditional dress, exchanged greetings of Peace and Love, while IRIE-FM – the great reggae radio station – broadcast a live link of interviews with the many musical and Rastafari personalities present. A breakfast feast was served by the Legend Cafe, with aromatic Marley Coffee and fresh juices. A cake was cut. The Nyabinghi drums rested, then Earl ‘Chinna’ Smith led his Inner Heights band and lead singer Sangie Davis, into live Marley music and the Marley legend showered blessings on all present. Artists such as Dean Fraser, Cherine Anderson and Tarrus Riley performed live in the space outside the famous house, and the grounds rocked with the joyousness of the music and the spirit. 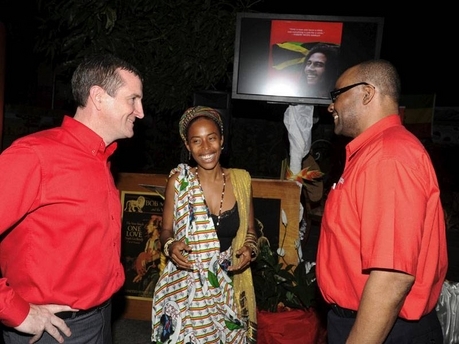 Donisha Prendergast with Digicel's Mark Linehan (left) and Donovan White at the launch of a partnership between Digicel Caribbean and the Bob Marley Foundation. The Marley Birthday tribute had begun days earlier, at a special event also held at the Museum. There popular cellphone company DIGICEL launched a contract to enable downloads of Marley ringtones on their phones. This is another coup by the company which also has promotional links with Olympic superstar Usain Bolt and stunning Miss Universe runner-up Yendi Phillips. Signing on behalf of the Bob Marley Foundation was Marley Museum Director Jacqueline Stewart and Donisha Prendergast of the Marley family. A massive concert at Trench Town Culture Yard on the Saturday night, at which a host of artists paid tribute to Marley in the inner-city ghetto where he lived and made music. Other events included a massive free concert on Marley’s birth night at Emancipation Park. The mood of this year’s celebration was heavily elevated by a new campaign for Marley to be declared a National Hero, this time led by IRIE-FM’s ‘Running African‘ radio show, whose host Andrea Williams has renewed this issue, particularly in light of controversy surrounding the recent naming of a new Jamaican aerodrome after the English author of the James Bond books, while Marley has received no similar national recognition. Therefore the media and public comments about Marley circulating over the days leading to his Birthday focused on the many ways in which the Rastaman has earned the national tribute of Hero. 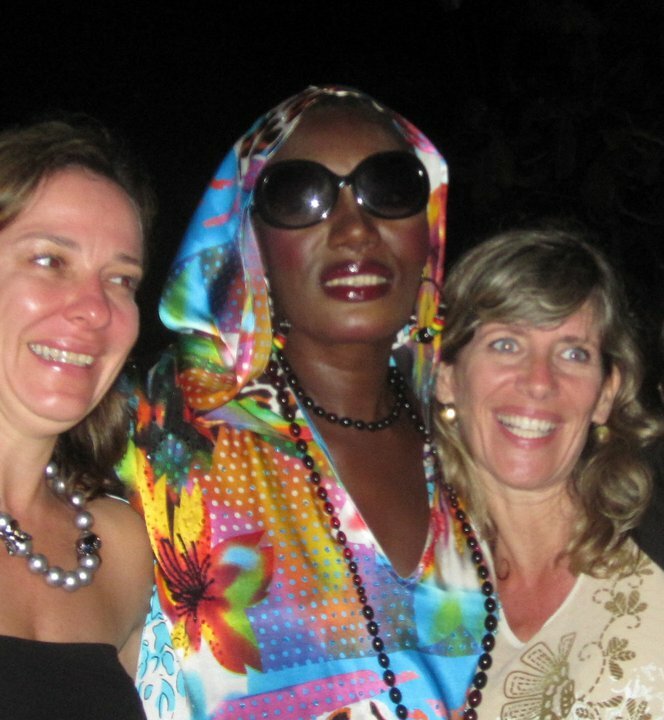 By mid-morning of Bob’s Birthday the Minister of Culture Olivia Grange joined in the chorus and announced she would spearhead the public effort to have her government give Marley the honour he deserves. About time!!! By popular request of fans of the Reggae Film Festival, the month of February will not pass without a taste of Reggae films. As such, the Jamaica Film Academy will host a REGGAE FILM FESTIVAL PREVIEW at the Bob Marley Legend Cafe, 56 Hope Road, on February 25. The event will show trailers of films already entered in the film festival, scheduled for May 23-27 at the Whitter Village, Ironshore, Montego Bay. From the JFA archive labelled ‘The Best of the Reggae Film Festival’, COUNTRYMAN is a classic film by Jamaican director Dickie Jobson. A small plane flown by a young American couple crashes off the Hellshire coast and the police begin a hunt for what is assumed to be a ganja escapade gone awry. The couple are rescued by Countryman, a native fisherman and mystic, whose fire-cooked meal of Jamaican food he prepares for the couple has become a classic of reggae film scenes. Jamaica Film Academy chairman, actor Carl Bradshaw does his usual good job of playing a major film role, this time as the police chief and will answer questions from the audience in the CineChat session after the screening. Young Jamaican digital animator Reinardo Chung will showcase his film BAD INFLUENCE and talk about his film art. The Jamaica Film Academy is proud to announce that BBC-TV has entered its first film in the Reggae Film Festival with REGGAE BRITANNIA, an exciting new documentary spotlighting some of the genre’s most influential and greatest artists. Part of the highly successful and critically acclaimed Britannia series for BBC Four, Reggae Britannia explores and celebrates the impact of reggae on British music and culture from the Sixties through to the mid-Eighties. The documentary delves into the world of reggae, examining everything from the music, the bass lines and the spliff, to black kids speaking brummie or cockney, the romance of Jamaica and the smell of British streets in the Seventies. Travelling through the years, the programme talks to the performers who brought their music to the UK from Jamaica, discusses how reggae helped forge Rock Against Racism, showcases the New Wave bands of the Eighties who were influenced by the genre and explores how the genre became a part of the British mainstream my the mid-Eighties. Directed by Jeremy Marre, the programme hears from The Specials, Dennis Bovell, Chris Blackwell, UB40, Paul Weller, Janet Kay and Carroll Thompson, Dennis Alcapone, Boy George and many more. 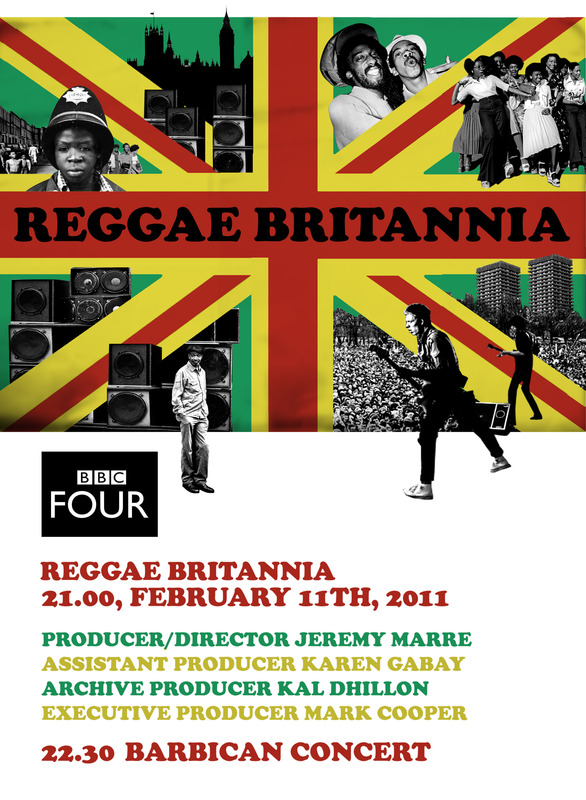 The BBC entry will face stiff competition for the Best Documentary Honour Award, as it will compete with such films as HOLDING ON TO JAH, the long-awaited documentary tribute to Emperor Haile Selassie 1, and INTENSIFIED, the story of the British band that made Ska a popular musical phenomenon in the UK long after it was no longer the music of Jamaican reggae. The surprising renewal of interest in the brass-bound, big band music of the Jamaican 50s that was revived by INTENSIFIED, is shown in historic interviews, stero-recorded soundtrack and an inside look at some of the people who love reggae music, even though they were not Jamaican, or even Black. Directed by Spanish film maker Jep Jorba, whose film on Rico Rodriques was an entry in the 2008 RFF, INTENSIFIED tells their interesting story. Another interesting documentary entry is SUPERSTONIC DUB about film maker Don Letts (DANCE HALL QUEEN, Bob Marley videos) and his history as a DJ who introduced dub music to British clubs and radio. Historical footage and good interview. 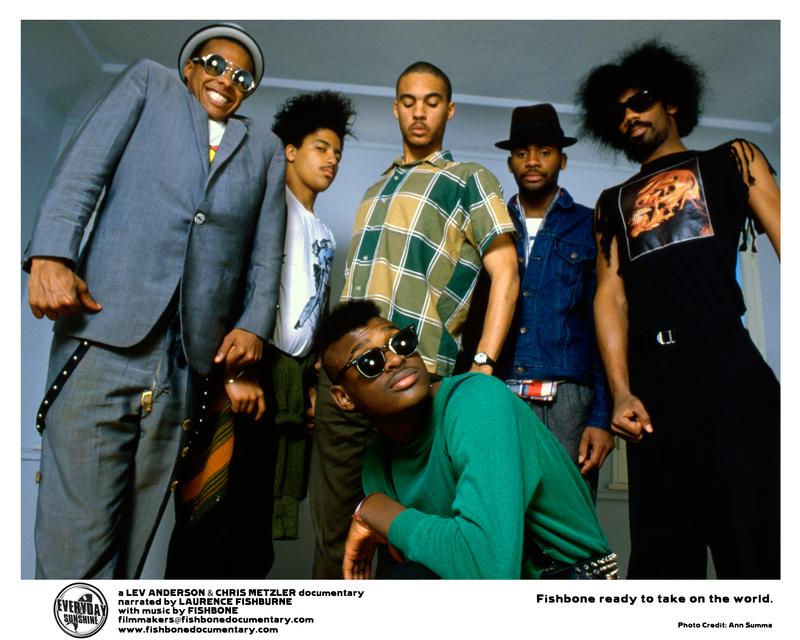 EVERYDAY SUNSHINE is a surprising feature documentary about US rock band FISHBONE, who included reggae in their avant-garde, dynamic and revolutionary music that influenced such bands as No Doubt, Black Eyed Peas and more. Fascinating footage and story narrated by ‘Matrix’ star Laurence Fishbourne are certain to capture interest and viewer votes. The Reggae Film Festival is a project of the JAMAICA FILM ACADEMY, a Non-Government Organisation (NGO) that is funded by private sector sponsorship.